Localization is adaptation of software or websites to specific languages, cultures, and places. Translation is only one of the stages of localization, which also includes coordination, programming, error control, proofing, desktop publishing and design. Localization is a highly specialized service, where a specific product is translated into one or more foreign languages while we greatly stress the needs of the final user of the product. We localize your website, software, documentation and instructions for all the languages you require. We pay attention of audio-visual aspects of the localization process and above all, we adapt to your needs. Today, websites are one of the most attractive ways of reaching clients. We help clients localize their websites, user interface, documentation and web applications. The software localization is one of the few types of translation that are most demanding, in terms of accuracy and precision. 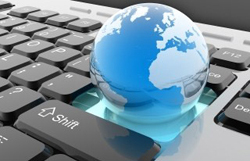 We help clients and take care of everything to do with software localization. Our teams of technical translators, graphic engineers and localization experts, work together to deliver effective website and software localization solutions that are culturally appropriate and easily accessible to the target group.